Sweat Shield Antiperspirant Wipes Are Great For Bridal Parties and Especially for Brides and Grooms! For that special day everything needs to be Perfect so it is important that everyone is looking cool and collected. However is the party gets underway we know hat this becomes impossible. The makeup runs and the sweat stains appear. Now there is an answer. Kleinert's sweat shield wet wipes will keep the sweat away so you can take those forever photos without fear. 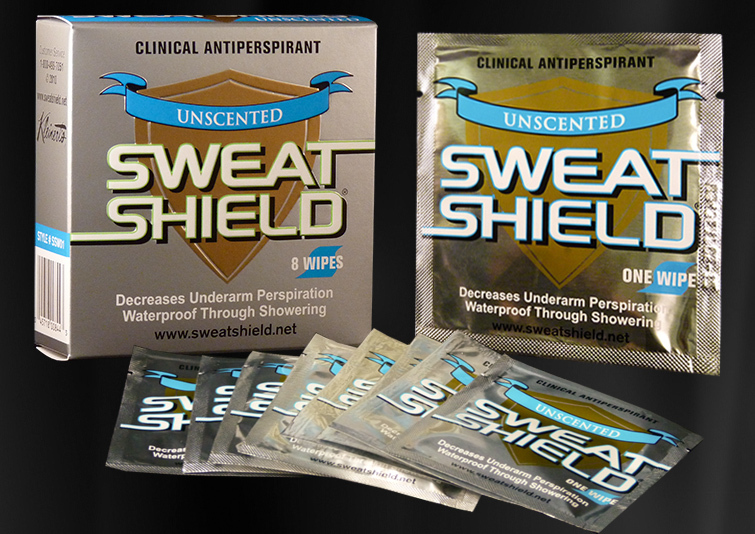 Sweat Shield Wipes are simple to apply and the results are immediate.